Evac, provider of integrated waste, wastewater, and water management systems for the marine, offshore, and building industries, is to be acquired by private equity group Bridgepoint. Headquartered in Espoo, Finland, Evac was established in 1979 and to date has successfully completed over 20,000 marine, 2,000 offshore, and 2,000 building projects for customers around the world. The company has offices in Brazil, China, Finland, France, Germany, South Korea, Norway, Sweden, and the USA, as well as representatives in more than 40 countries. Since 2014 Evac has been owned by the IK VII Fund. In the course of the fund’s ownership, Evac has achieved strong growth, with turnover increasing by 55% and, in 2016, exceeding EUR 100 million for the first time in the company’s history. The investment in Evac group is being made by Bridgepoint Europe V, a EUR 4 billion pan-European fund that made its first investment in January 2015. The fund typically focuses on acquiring well-managed companies in attractive sectors and supports management teams by investing in expansion, operational transformation, or via consolidating acquisitions. Bridgepoint has offices in Frankfurt, Istanbul, London, Luxembourg, Madrid, New York, Paris, Shanghai, Stockholm, and Warsaw. “During the past few years we have strategically repositioned Evac from being a component provider to a fully integrated cleantech solutions supplier, consequently further strengthening the company’s position as the global market leader. 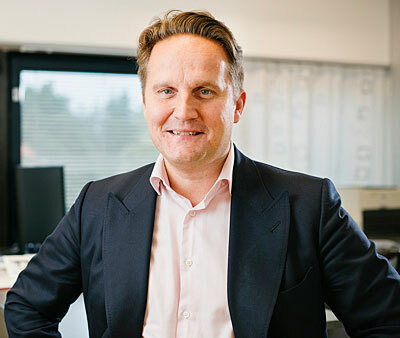 We have only been able to do so with a talented management team at Evac, and we wish them continued success under Bridgepoint’s ownership,” says Kristian Carlsson Kemppinen, Partner at IK Investment Partners and advisor to the IK VII Fund.